A few months ago I had the great honor to serve as ‘Guardian’ for my Dad’s Badger Honor Flight to Washington D.C. He is a veteran of the Vietnam war and volunteered to serve in the Army in a field artillery unit most notably around the city of Tuy Hoa in Phu Yen province where he earned a Bronze Star with ‘V’ for Valor. 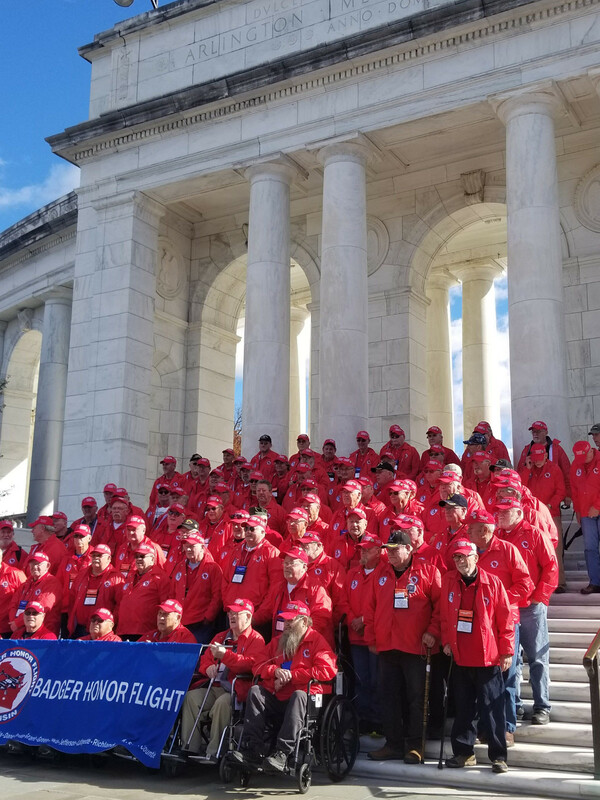 I quickly learned that when veterans go on an Honor Flight they have one ‘Guardian’ who is assigned to accompany them and offer any assistance throughout a long day of touring memorials and walking around D.C. I took this duty seriously and loaded up a backpack filled with extras like gloves and hats in case it got cold, snacks, rain ponchos, ibuprofen, battery chargers in case someone’s phone needed a boost, and other odds and ends. My cousin Jason was also the ‘Guardian’ for his dad and we were dressed in blue jackets while the real heroes wore red. I’ll attach a few photos so you can see what a great turnout we had. For those of you who are not familiar with the history of the Vietnam War don’t worry, I’m not going to write a book about it here. There are many, many history books on the subject. What I am more interested in telling you about are the real people, the everyday heroes who walk among us and who did their duty only to be spit on, mocked, and ridiculed by immature, ungrateful, self-absorbed ‘protesters’ when they returned. These men who did their duty in the Vietnam War are not just heroes for their actions in that conflict. They are also heroes for teaching us all about the importance of maintaining honor and integrity and persevering through the emotional abuses and bullying by their own fellow citizens. I truly hate that these men had to go through that experience but I am even more grateful to them for having done so because now my generation has the benefit of their wisdom and we will continue to pass it on to those who follow. We made our way to the buses that would transport us around the city to visit the memorials that our nation erected to honor men like this. It was there that we learned the Park Police were going to be escorting us throughout the day to make sure we could slide through the gridlock traffic and stay on schedule. As I said to my Dad upon learning that these Veterans were being treated like ambassadors, “These cops are probably excited to serve real heroes for once instead of all the politicians who come through here.” It was a thing of beauty to see all the traffic part like the Red Sea to make room for our Veterans. Stay tuned for the next installment of this amazing experience. In Part II, I will describe what it was like to accompany a group of heroes to see the memorials that were erected in their honor and the reaction of those who were there.